Picture you see was made on the same night as the “Tilted horizon” (link). Did the photographer see such paints? No, it was impossible to pass without a flashlight the bridge! As you can see the soft light of moonless night combined with the hard light, it is the light from a flashlight. 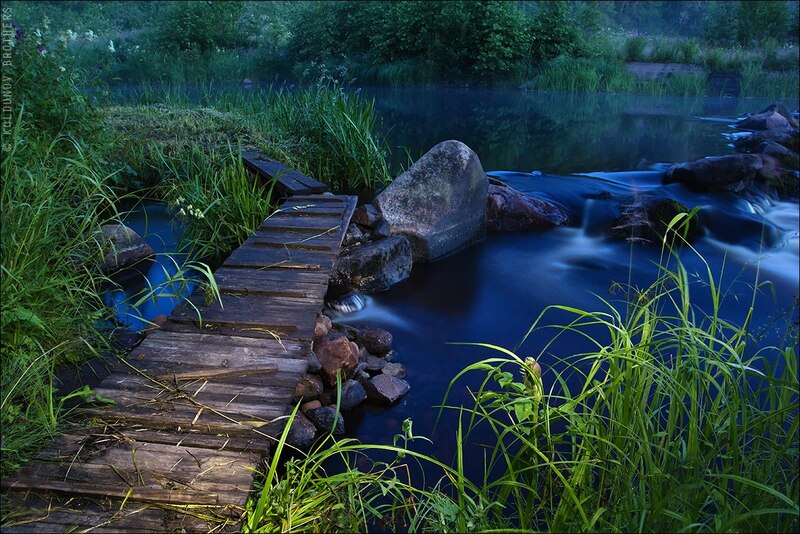 For 30 seconds of exposure were highlighted: the grass in the foreground, the bridge and the single stones. The result is very picturesque. The only drawback was the lack of a remote cord, that is why we could not raise shutter speed in excess of 30 seconds, and ISO was raised up to 800.